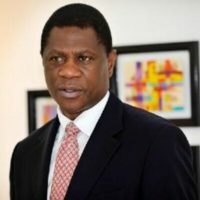 Paul Mashatile whose birth name is Paul Shipokosa Mashatile is a South African politician. He is the former Minister of Arts and Culture in the Cabinet of South Africa. Mashatile is currently the Minister of Arts and Culture in the Cabinet of South Africa. He who was born on the 21st of October 1961 in Geraldsville, Pretoria in South Africa. As of 2018, he is 57 years old. He is a married man and he has a daughter that is named Palesa Mashatile. He attended Alexandra High School, GAUTENG, South Africa. He also has a Post Graduate Diploma in Economic Principles from the University of London.